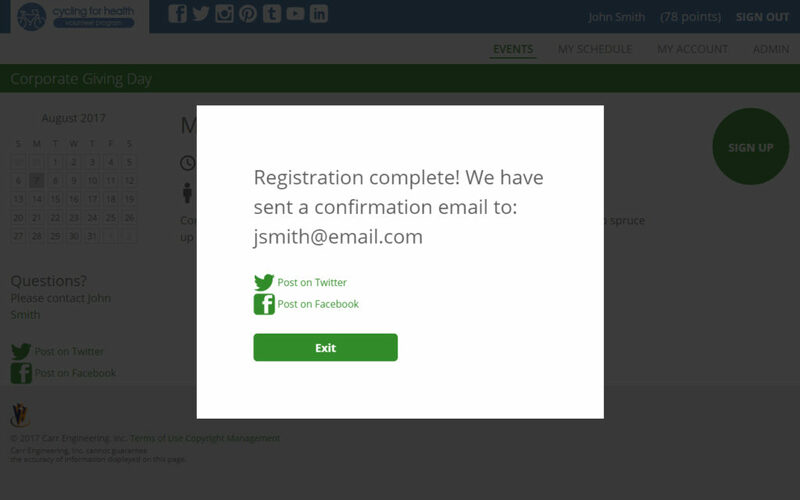 Custom Forms help gather the right information from every volunteer for specific events. Identify the right volunteer for the right opportunity. Volunteers can serve a wide variety of roles for your organization, and each role will come with different responsibilities. 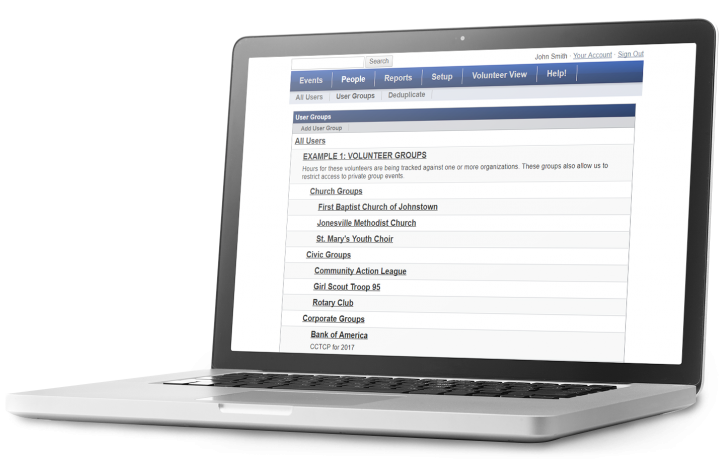 Therefore, it’s important for you to have an easy way to gather the appropriate information from each volunteer, so you can ensure you have the right person for the task. Create questions relevant to each role. 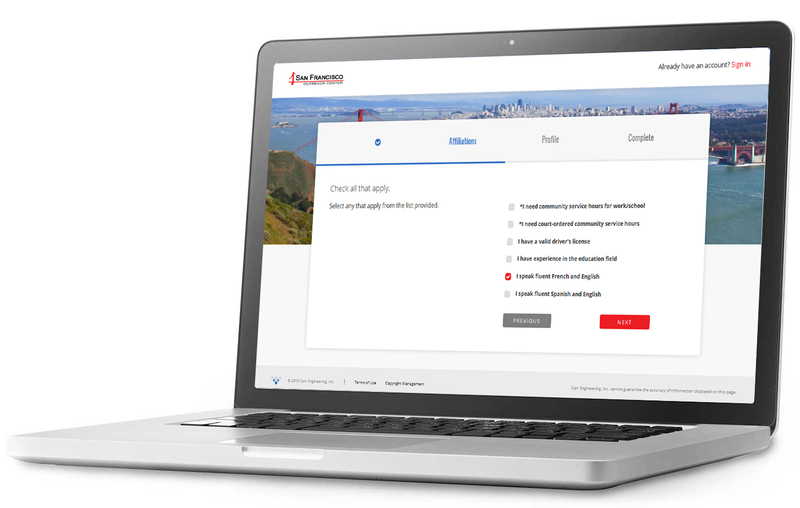 Custom Forms allow you to select a specific user group from the Team Organization feature and create questions relevant to each role. 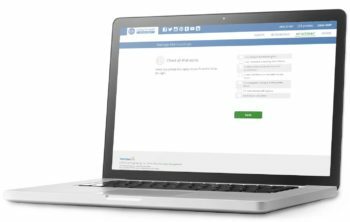 Once you create questions, they will appear in the New User Registration Wizard for any volunteer belonging to that user group. Let’s imagine that your organization prepares and delivers food to families in need. Some volunteers cook while others drive the food from your soup kitchen to the local shelter. 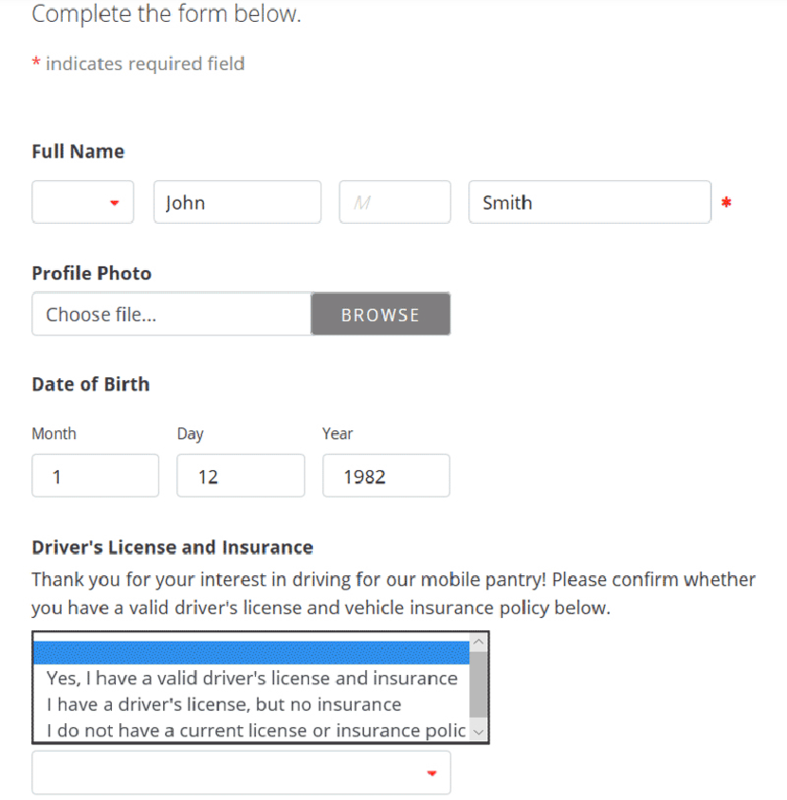 You may want to use Custom Forms to ask drivers to confirm that they have a valid driver’s license and proper insurance during their volunteer registration.